For most of the last decade property owners in Queensland’s Mary Valley have been at the mercy of the $2 billion Traveston Dam that never was. Now a new generation of landowners including farmers, families and retirees are looking forward to a stable and productive future. This week, the final property resumed as part of the State Government’s aborted plans to build a major new dam was returned to private ownership marking a major milestone in the region’s recovery. Nearly 400 properties, covering more than 13,000 hectares that were resumed to make way for the dam have now been returned to private ownership, the largest rural and residential government sell down ever to be undertaken in Australia. In May this year, those remaining 11 Mary Valley properties were released to market, with as many as 270 interested parties inspecting the properties throughout the four and half week marketing campaign. All selling for a total of over $16.6 million which was 9.1% over and above their reserve pricing. 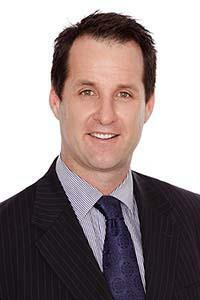 Oliver Hume Queensland Joint Managing Director Brinton KeathNational property services group Oliver Hume was handed the contract to manage the $200 million sell down in 2013 and has overseen the sale of more 350 individual properties over the last three years. 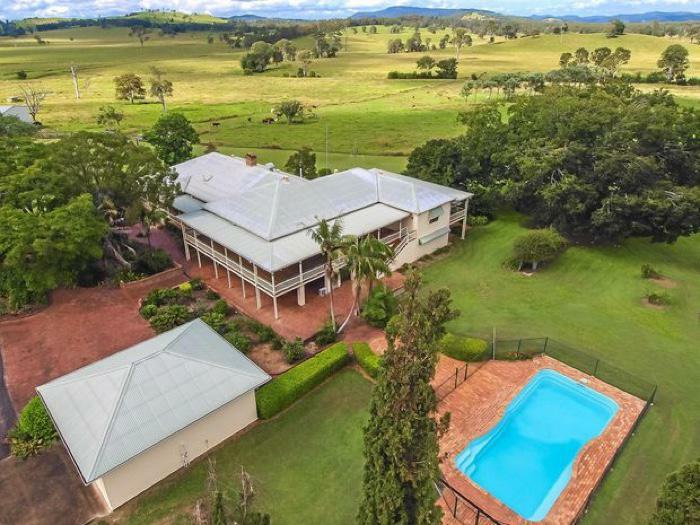 The sales ranged from a small landlocked parcel for $17,000 up to one of the area’s top farms, the 863 ha Bollier Park, which sold for $8.5 million last month. The types of properties ranged from small hobby farms and small acreage lots, up to major commercial dairy farms. Oliver Hume’s Queensland Joint Managing Director Brinton Keath has seen first hand the important role that returning of land to private ownership has played in the rejuvenation of the community. “But slowly things changed, more property was returned to private owners who invested to make improvements which encouraged others to do the same, it became a snowball and over the last 12 months the demand has been unbelievable.” Mr Keath said the region was now awash with home renovations while the core agricultural and farming industries had sprung back to life with investment in new machinery and infrastructure and fresh crops sown. Re-building the community has had its ups and downs. After having their properties resumed many residents and farmers simply moved on to other pastures and established new lives away from the Valley. Simply luring everybody back was going to be impossible and the re-population of the Mary Valley was going to need to require a large net and an expert team. Bollier Park homestead (above) was one of the last and most expensive properties returned to private ownership. To help the recovery the former Newman Government implemented the Mary Valley Economic Development Strategy in July 2012. 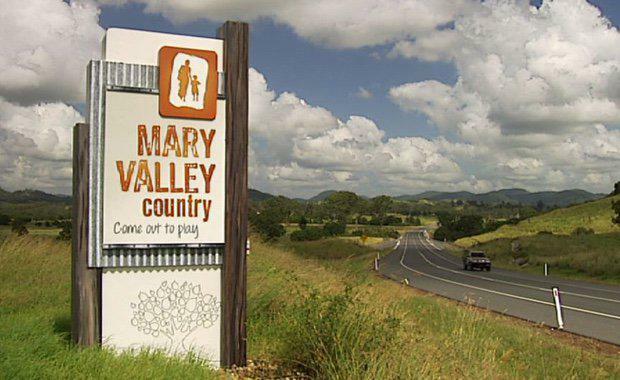 The strategy aimed to maximise economic development opportunities across the whole of the Mary Valley to revitalise the Valley, providing a sound investment platform and restore community stability. The strategic plan was continued by the Palaszczuk Government when it was elected in January 2015 with the same goal of encouraging ownership and investment in productive agricultural land. Minister for State Development Dr Anthony Lynham said the sale of surplus Mary Valley properties provided opportunities for economic growth and jobs through private investment. “Late last year, before taking the final 11 Mary Valley properties available for sale to the open market, we commissioned a detailed economic uplift assessment. “The report recommended that the land be returned to private ownership as soon as possible to enable the private sector to invest in the land as they deem most appropriate, and that is exactly what we have done,” Dr Lynham said. With such a large volume of land to be divested, one of the greatest challenges faced by Brinton and his team was releasing land at the right time to avoid over-supply while also bringing enough people to drive economic growth. “It has been a unique challenge but by staying close to the market and undertaking good research we were able to get a good idea of the demand for each release and ensure it was coming on the market at exactly the right pace,” he said. In addition to property sales, a variety of water allocations are being returned to private ownership. Mr Keath said the opportunity of permanent access to water appealed to a variety of buyers. “This offering has been a strong draw card in allowing businesses access to the Mary Valley Water Supply Scheme to support and secure economic enterprise, and to enhance buyers’ business’ bottom line,” he said. “The water allocation offering is a valuable title able to be traded as a commodity to farmers on a per-year basis, or as a permanent right, providing a strong value-add opportunity for investors,” he said.